Looking for an exciting historical read that at least acknowledges that the Lord works in the affairs of men? 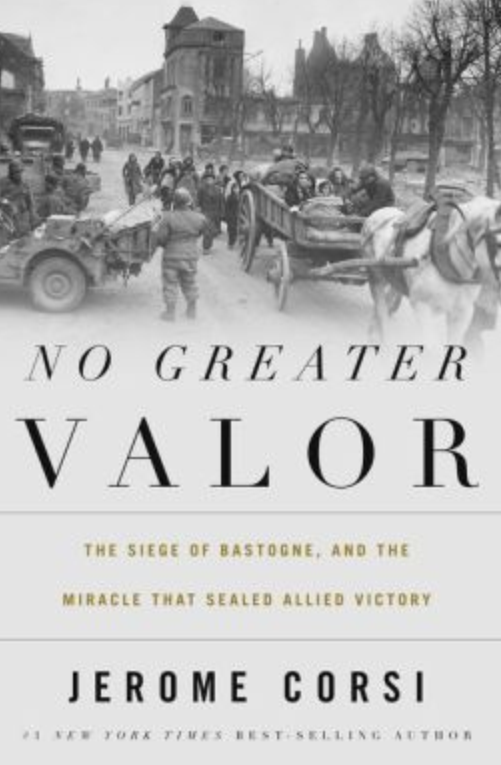 You will love the fast-moving story given by Jerome Corsi on the Siege of Bastogne. The action vivid, the characters real, this story comes alive in its 300 pages. It is not, in my opinion, a Christian book. It is respectful of Christianity, though it even makes no theological distinctions between, for example, Protestant Christians and Catholics. The heroes from both (particularly chaplains) are presented glowingly, just as they should be, though the differences that will always divide are never mentioned. What makes this volume be published by a Christian publisher (Nelson) is its recognition that God made the greatest move and the heroes of the battle are the first to admit it. Most importantly the weather, followed by fortuitous developments that were clearly beyond just good planning, and finally some smaller unexplainable events, worked together to show God’s favor. Much is made of the prayer that Patton pushed out among the men, who clearly embraced it, and that thankfulness to God that followed the results. The story of the incredible soldiers involved was well told too. Eisenhower listened to all sides and made the big decision. He was moved by the sometimes reckless Patton, whose unorthodox ways were made for this battle. Patton, a living paradox who was obsessed with God’s favor and prayer and yet cursed often and worked reincarnation into his Christianity, was the man of massive ego who yet pulled off the most amazing pivot northward of an army on record. General McAuliffe, the understated commander in besieged Bastogne, was a model of courageous leadership. There seemed to amazing courage, and as the title suggests, no greater valor, in every group involved. I think you will enjoy this book. I recommend it. 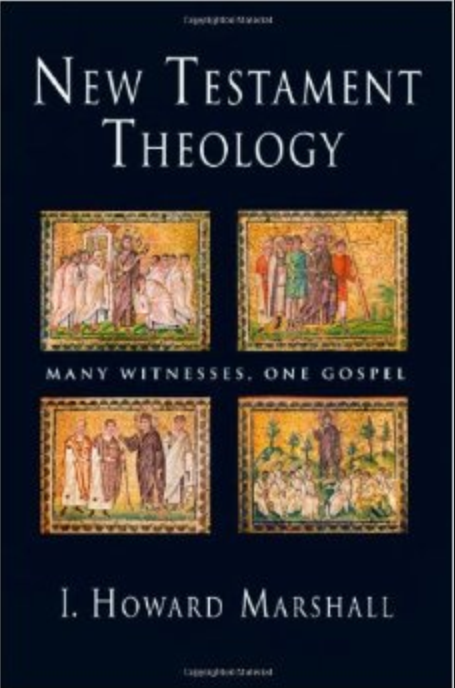 This massive volume by highly-respected scholar I. Howard Marshall leaves few stones unturned in a scholarly presentation on New Testament Theology. New Testament theologies are usually written as either tracing theological themes across the entire NT or discussing theology book by book. This IVP published volume approaches theology by the latter method. I prefer the first method, but we surely need both approaches. The strengths of this volume are that with distinct acumen Mr. Marshall tells us what modern scholarship thinks and always weighs in with his own thoughts. It almost seems encyclopedic in that way. His writing is clear and you leave knowing what the consensus of modern scholarship is. The weaknesses include an exaltation of modern scholarship at the expense of previous generations. He puts modern scholars, apparently, as the final authority of biblical thought. Perhaps you would think me biased, but I do not agree with that thinking. So that can make for a mixed bag at times. Of course modern scholarship is an extraordinary asset to us, but some of the excesses–the certainty of the existence of “Q” or other conclusions by scholars repeated so often till some accept as fact though no concrete proof exists. Of course I have many volumes that speak of “Q” on my shelves, but this book makes so many conclusions on a certainty of what came from where that the section on the Synoptics seemed flawed to me. Other similar conclusions were made. At times I read more like a collection of NT book introductions than a theology too. Despite the weaknesses, there are insights in many places. This volume will not hold the primary place among the theologies on my shelf, but it will be consulted. If your goal is learning modern scholarly thought, give this volume 5 stars. If it is a well rounded, spiritual you seek, give it 3 stars. So let’s average the scores and say 4 stars. Fair enough? 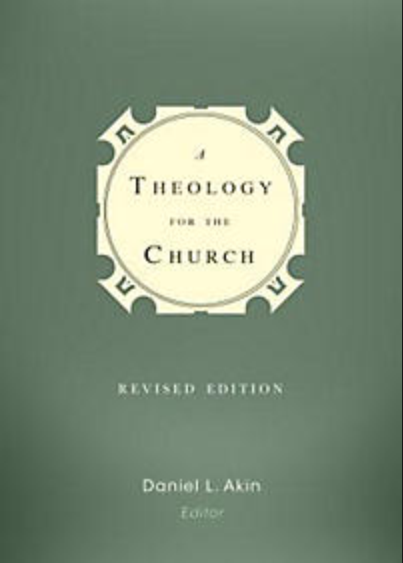 A Theology Of The Church, Revised Edition, edited by Daniel Akin and published by B & H Publishers, is a fine volume that no Baptist pastor can afford to be without. Sadly, I missed the original edition, but am glad to possess this revised edition. This book is not so consumed with Baptist thought that it can’t on its own two feet as a quality systematic theology–it stands well. What it adds is that extra few pages in each section on how Baptists in particular have wrestled with that doctrine. I find that invaluable and something that can be found no where else. Each chapter is written by a different Baptist theologian, and as is the common problem of such a setup, there isn’t always complete consensus. Still, that is no difficulty because the editor must have strictly enforced the notion of being kind and fair to other viewpoints, particularly other common viewpoints. There is variety in Baptist thought and this succeeds at being helpful to all. In fact, I believe even one not a Baptist would love this volume. I must call out for special recognition the chapter by Kenneth Keathley on the Doctrine of Salvation. Since you may have guessed the possible bias, I will admit that I agree with his conclusions. Still, he so deftly defines issues and the points of debate. He confesses weaknesses in every viewpoint, including his own. He was charitable to all and I believe no matter your viewpoint you should read this chapter. I did not read every page in reviewing this book, but took care to read enough to get a feel for what it taught. The chapter on Human Nature was another favorite. The chapter on Eschatology was less of what I expected ( he seemed to assume we started with a basic position and understood the main ones), but still gave wonderful material needed to grasp this issue in our day. Albert Mohler’s charge to the volume’s most likely users–pastors–was spot on too. This volume is a new favorite for me. It is easy, so easy, to mix up the true goal of Christian discipleship. If the goal is missed, apparent success is worthless. I speak of Cookie Cutter Christians. Perhaps every group in Christianity struggles here, and Independent Baptists are, perhaps, masters of the art. Perhaps you have taken part in a cookie making event. As a father of six, I have had at least a few Christmas opportunities (though I could in no way walk in the kitchen at this moment and make a batch of cookies). The first thing you will notice is how much they all look alike as you use you little cookie cutter. Strangely, that is how some view disciplining new Christians. The great doctrines that define Christianity are mentioned to some degree, but no more than how we ought to look, exactly how a worship service should look, and what we are allowed to do or not do. Some of those discipled are shocked to learn later, if they actually become Bible students, that the emphasis does not match what the pages of Scripture show. If they never do, they will more likely become what their trainers hope they will. It is not if they have a theological grasp on salvation by grace, but that they commit to memory all standards and never slip on any of them. It is not if they have the big picture comprehended, but if they have the rules down. If you doubt this to be the case, just let the Christian in question miss the doctrinal point (real doctrine) or miss the standard. Watch what happens, and you will see for yourself. 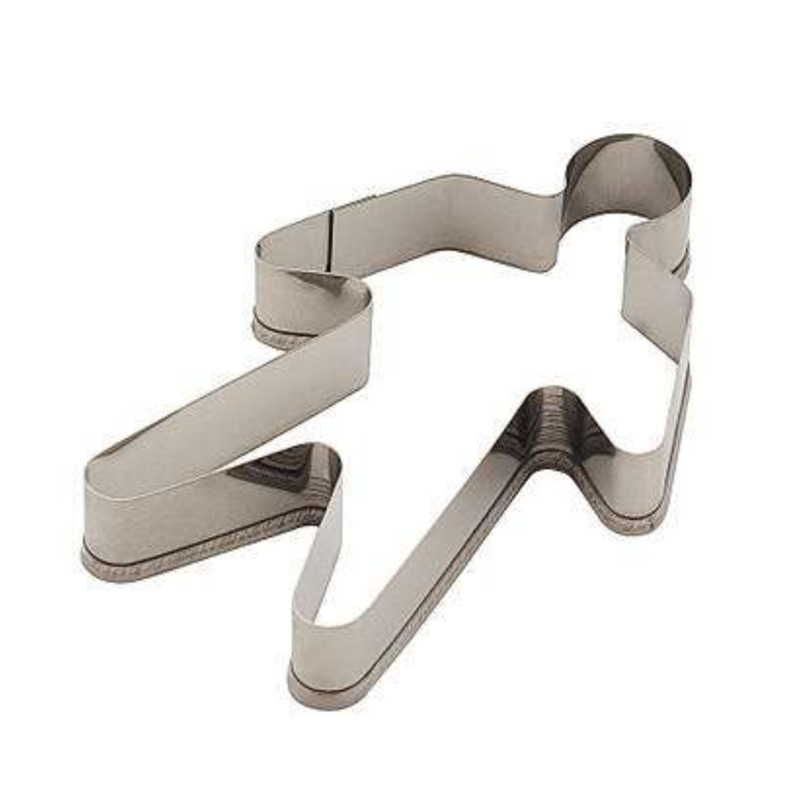 The other thing about making cookies is that if I remove the cookie cutter and some part of the little snowman falls off, I grab it and roll it back into the batter. That cookie doesn’t make it. So it is for some new Christians. They get a little time to conform, but then they better get with the program; or else. I have seen more than one broke little Christian thrown back into the batter. Perhaps if we saw the goal as Christians being conformed into the image of Christ, we would not be so concerned if they were not conformed into the image of us! 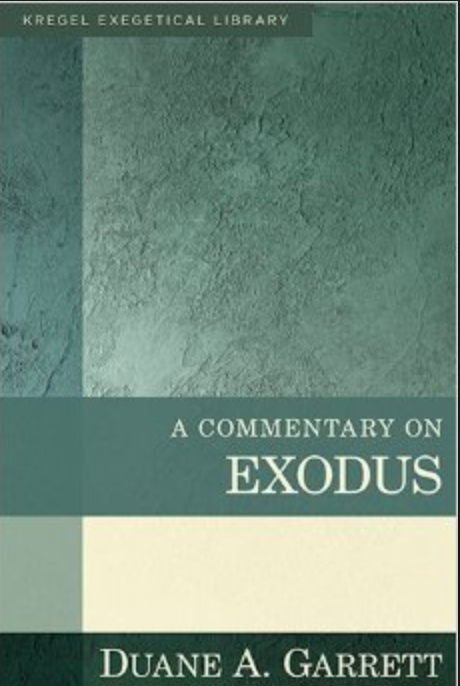 Exodus by Duane Garrett, the latest of the emerging Kregel Exegetical Commentary series, is a winner. As pastor-friendly as the earlier volumes, this commentary can stand without embarrassment beside the most scholarly of volumes. The Introduction was a joy to read. He approaches the unfortunate waste of time in the study of source criticism and concludes it as having “contradictory conclusions and a general lack of clarity.” In further discussion of the documentary hypothesis, he speaks of some of the so-called varying sources and says, “That path is a dead end.” I love his approach! He gives good background on Egypt as he feels that is one of the most glaring deficiencies of Bible students today. Finally, he approaches the hotly-debated subject of the date of the Exodus. I appreciate how he fairly represented all sides. He then ventured into the equally controversial discussion of the location of the Red Sea crossing and Mt. Sinai. I don’t actually agree with his conclusions, but what a wealth of information he marshals for us to decide for ourselves. The commentary is helpful. It is always thought provoking. He seeks out natural explanations for the Plagues (though he believes in a supernatural God) that I feel does not do justice to how supernatural they seemed to Pharaoh himself. Nothing natural could have surprised him. Check out the chart and Excurses on “The Hardness of Pharaoh’s Heart”. I have never read better. All in all, this volume is a great commentary to secure.